Red Box Films founder Simon Chinn today launched LIGHTBOX with his cousin and tv producer Jonathan Chinn. 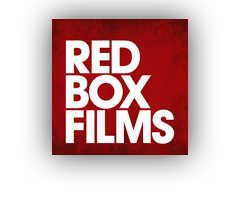 A new multi-platform media company aimed at producing high-end non fiction content for the small screen Lightbox will be strongly aligned with Red Box Films. Red Box Films new feature documentary THE GREEN PRINCE will be the opening film the World Cinema Documentary competition at Sundance, and will premiere in Park City on January 16th 2014. Searching for Sugar Man and The Imposter are both nominated in the documentary category, while Bart Layton and Dimitri Doganis are nominated for best debut for The Imposter. SEARCHING FOR SUGAR MAN and THE IMPOSTER took five nominations each - more than of any other nominated film - at the 2012 Cinema Eye awards for Nonfiction which will take place in New York in January. Red Box Films' new feature documentary telling the inside story of the James Bond film franchise opens in the UK to coincide with Global James Bond day - the 50th anniversary of the premiere of Dr No. PROJECT NIM and MAN ON WIRE among the only recent UK Film Council backed films to have gone into profit.